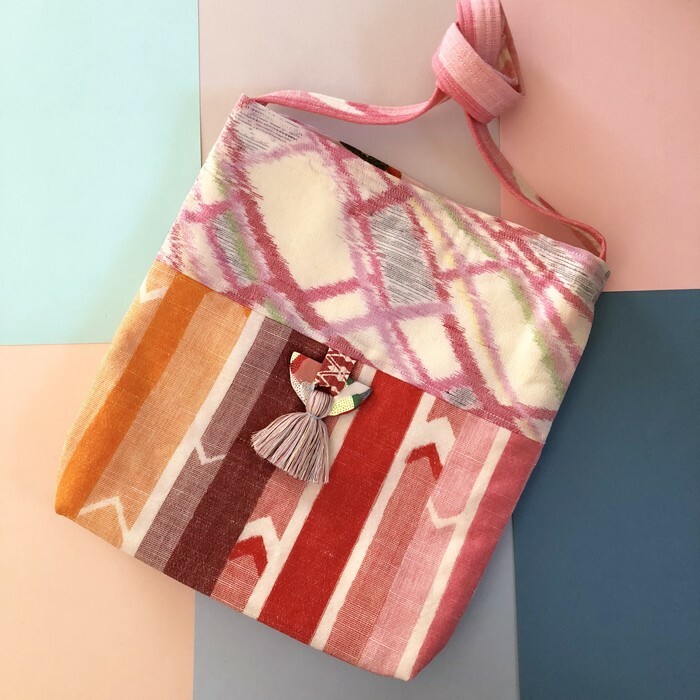 This gorgeous one-of-a-kind handbag is handcrafted from kimono fabric, with contrast lining, and a matching embellishment which I’ve individually made from polymer clay to match the fabric. The fabric used is very special! 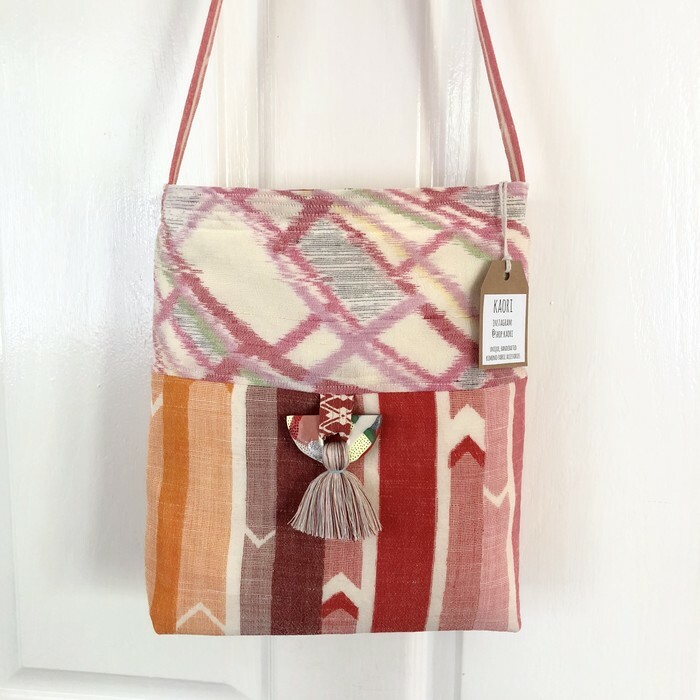 I’ve carefully matched many different kimono fabrics to make this one of a kind bag. 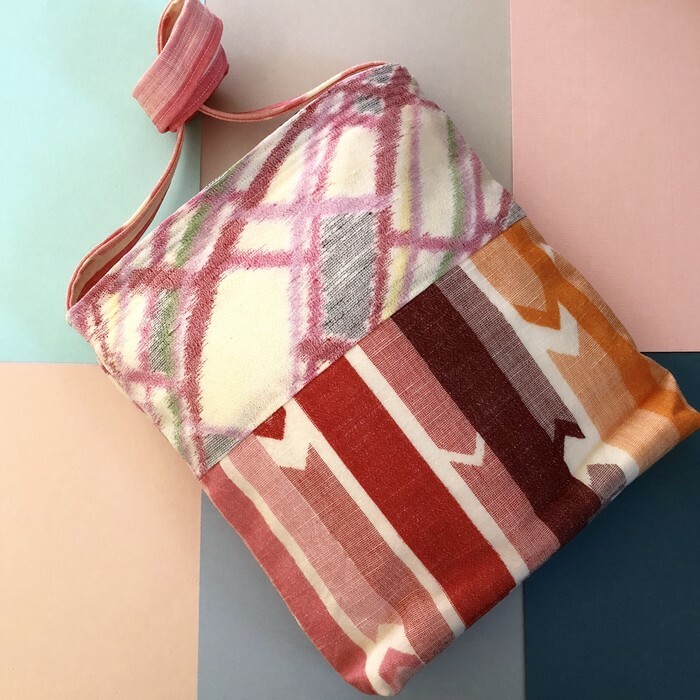 The bag is padded with internal wadding to protect your belongings. The handbag is large enough to fit all your goodies such as wallet, sunglasses, keys, lippie etc. 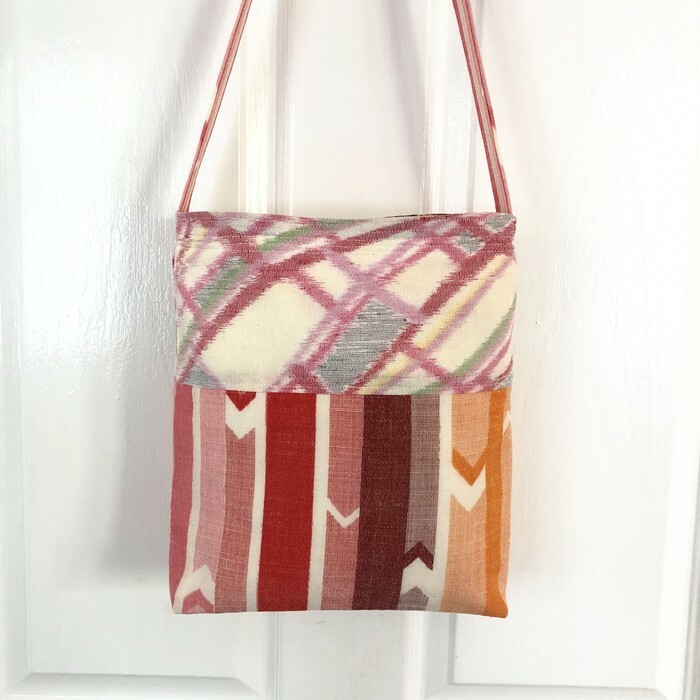 I’m always carrying around a water bottle and a scarf or cardi so I’ve made these bags large enough to fit those in too. The bag is 27 cm wide and 28 cm high. The handle / strap is 80cm long. 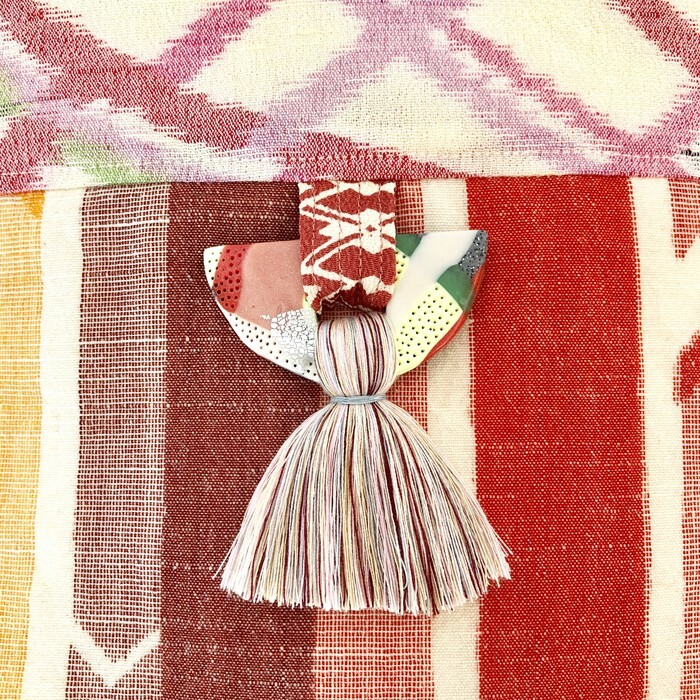 Every purchase from kaori is delivered to you gift packaged. Each piece is unique so they make great gifts.